Since its creation in 2001 by a local consortium of medical institutions, BNMC has created more than 3,000 new jobs and built an innovation center that currently houses 75 start-up companies. So far, BNMC has attracted $1.4 billion in investments to Buffalo. Dozens of programs have also been co-created by BNMC and the community. An example of the typical approach is to say, “We have 10 job openings; why don’t we look for local people to fill them?” or “We spend hundreds of thousands of dollars on laundry; could we find a company in the city instead of contracting with a national firm?” Instead, BNMC invites neighbors into the conversation, asking them what’s important to them and then incorporating that into the plan. The first approach shifts some processes and resources around but doesn’t affect the social architecture. The second requires creativity and a willingness to restructure the organization and purpose in response to what the community asks for and cares about. Collaboration has included ministers and national politicians; the mayor of Buffalo and the governor of New York; small start-up enterprises and a British multinational utility company; local activist groups and national foundations. These efforts have led to investments in new facilities that increase access to healthy food, clean energy, transportation, business innovation and education. Residents in the Fruit Belt, a neighborhood across the street from the campus, have solar panels on their homes made possible through a special program developed for them by the global energy company National Grid. Local middle and high school students attend an “entrepreneurial boot camp” on campus. 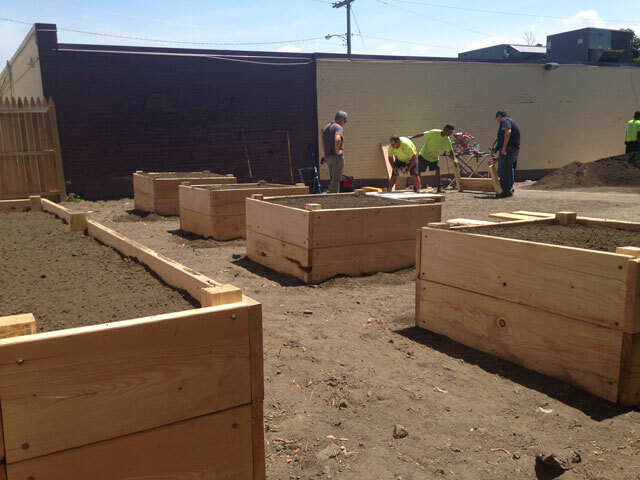 Mobile garden and market sites brought 10,000 pounds of produce to food deserts last year. Street lighting is better, school lunches are healthier, and more corner stores sell fresh produce instead of racks of processed food. Internships, new jobs, resume writing and mentoring are available. A green team of local residents have maintenance and landscaping jobs on campus, and residents can win scholarships to a co-working space. The orchestration of BNMC’s day-to-day efforts are led by Matt Enstice, the organization’s president and CEO since its founding. After college, Enstice worked on Lorne Michaels’s production team for “Saturday Night Live.” What he took away from his job there, in addition to the skills required to navigate enormous egos and still “get stuff done,” was the way “really random bits” came together every week to make something much greater than its parts – the myriad details of costumes and sets, individual skits, punch lines and people. The idea that, with the right vision, disconnected small parts have the potential for game-changing influence, taught him the importance of a clear and compelling purpose and the need for collaboration and co-creation. When everyone is seen as a potential participant, relationships become generative instead of transactional. This is a critical lesson for anyone who wants to create any kind of lasting change. BNMC is now enlarging its circle of influence and impact. 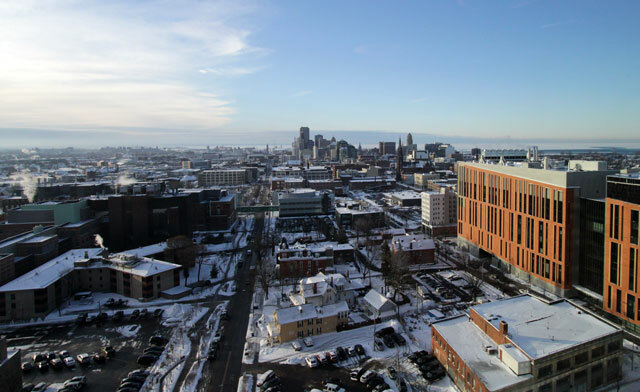 Partnerships have expanded to include Silicon Valley companies and international coding services in an effort to make Buffalo a center of technology again. That is the kind of innovation that comes from collaboration and paying attention to the power of relationships. All of BNMC’s activities are bundled into an approach that the consortium calls MutualCity. It amounts to a new vision for a city based on mutuality and benefit for all. 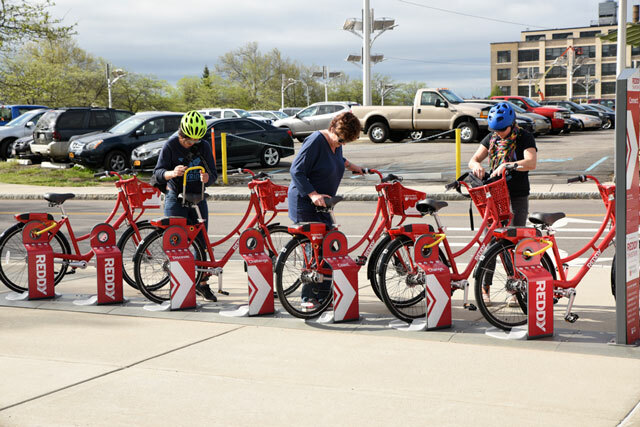 But it’s really just the social design process applied to a city – and it’s available to any other place or organization willing to invest the time and commitment to make it happen. Cheryl Heller is Director of Design Integration at Arizona State University, founder of the first MFA program in social design at the School of Visual Arts in New York, and author of “The Intergalactic Design Guide: Harnessing the Creative Potential of Social Design.” She has been working with the Buffalo Niagara Medical Campus on MutualCity since 2014.